So recently I’ve come across some amazing beauty brands and thought I’d share them with you. By the way, if you are looking for some last minute gifts, they’re also perfect! I’ve had a love affair with the Can Can Parleur for some time now. The 100% organic nail spa on LaBrea avenue (for my locals!) is unlike anything I have experienced. 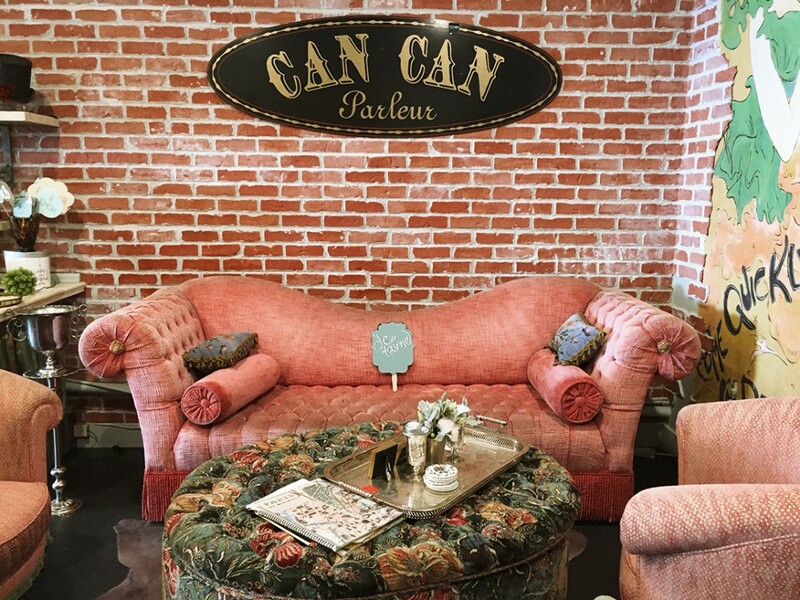 The owner Carolann is in a league of her own providing not just pedicures and manicures but she takes the time to really get to know her clients while truly making it all about your experience. Unlike other nail salons, this one is all about ambiance and every time I feel as if I have escaped into some Parisian fantasy. Warm neck towels, keratin gloves, 5 free nail polish and organic foot and hand scrubs are just a few of the treats they have in store. Not only that, I am personally a fan of the 5 Free Seaweed Gel Manicure. To top it off, it always smells amazing there and unlike most nail salons, there is none of that toxic smell permeating the room! My nails always look amazing and it’s no wonder they have a solid 5 star yelp rating! Next up Fictions Fragrance, whom I was recently introduced to through Erin Kelly PR (she always seems to work with some of the coolest, unique brands). What caught my eye immediately was the story behind the brand and the coolest packaging that tells the story of a woman in love. 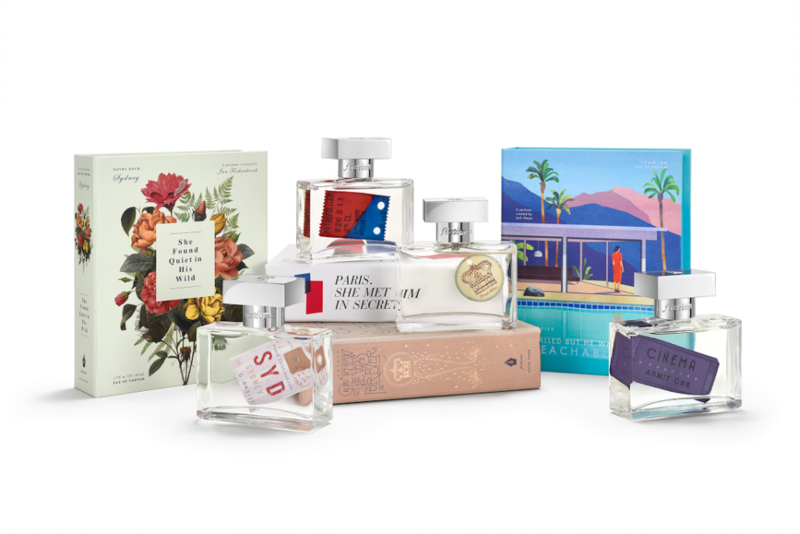 The brand partnered with creatives to design the art on the “novels” for each set which pulls inspiration from iconic cities of Paris, London, Los Angeles, Sydney and Instanbul. Each “story” is packaged as a book which encloses the fragrance. Not only do they look beautiful but they legitimately smell gorgeous too. They are carried exclusively at Anthropologie and I’ve included a link above too! For my gals looking for that glowy, dewy skin, KÁT RUDU is a cruelty-free collection feeds the skin vegan protein, nourishing it at the cellular level. The line was created in Venice, California by skin care visionary Kát Rudu, one of the most in-demand celebrity medical aestheticians. I had the chance to meet her recently at an event and her energy is infectious, she’s also amazing at what she does! Not only that, this is one of the first products I’ve been using religiously that gives me that fresh glow. I am honestly obsessed and am in awe daily at how good my skin looks after using the Liquid Lift Silk Amino Acid Peptides! She just opened her Skin Studio in Venice and I highly recommend stopping in to see her in person and get one of her signature Jet Set facials. Another new obsession of mine is LANOLIPS! Created by Kirsten Carriol, a beauty industry veteran, couldn’t find the perfect lip balm. 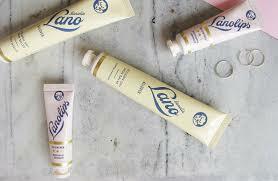 While lamenting her chapped lips before a long haul flight, she remembered the wondrous feel of the lanolin on the sheep’s wool – from her childhood spent on her Grandparent’s sheep-farm in South Australia. What I love most about this brand is that you can literally use this tube on anything that needs moisturizing and its an all natural product with high quality ingredients. I use it for my lips, hands, feet and cuticles. 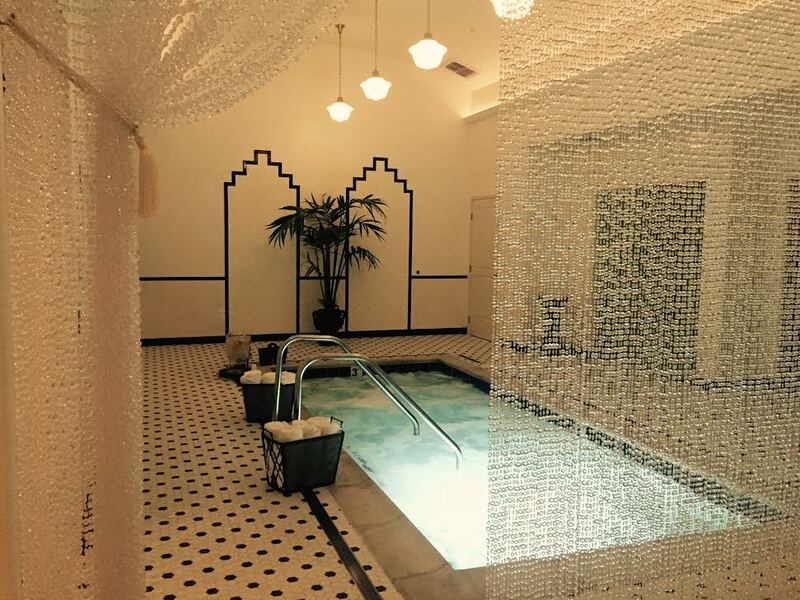 Sometimes I just want to get away and for my local Angelinos, the new Burke Williams Spa location off La Brea makes it easy to do just that. Their services include the usual spa type services but I love that they also have Ayurvedic Body Treatments and Steam Pedicures. For those of us who can’t hit the spa or simply want to feel GLAM in their own homes, VANITY GIRL HOLLYWOOD has got ya covered. I cannot say enough good things about this company and their product, lighted vanity mirrors. Every time my friends come over to get ready we all hover around my vanity! The lighting is amazing and there are dimming capabilities as well as two outlets so you can charge your phone and curl your hair! Made in here in Los Angeles! These are all great finds! Fictions is so cool and I didn’t even think of gifting experiences like the SPA! hello perfect idea. I know right! Cutest packaging and personally I love a good spa day!